By now, it’s unremarkable to point out the American health care system is broken. Costs are too high, inequality reigns, and certain procedures aren’t available simply because the necessary social tides haven’t made them legal yet. Is it any wonder Americans rank 24th in the world in trust for the medical profession? Actually, it kind of is. 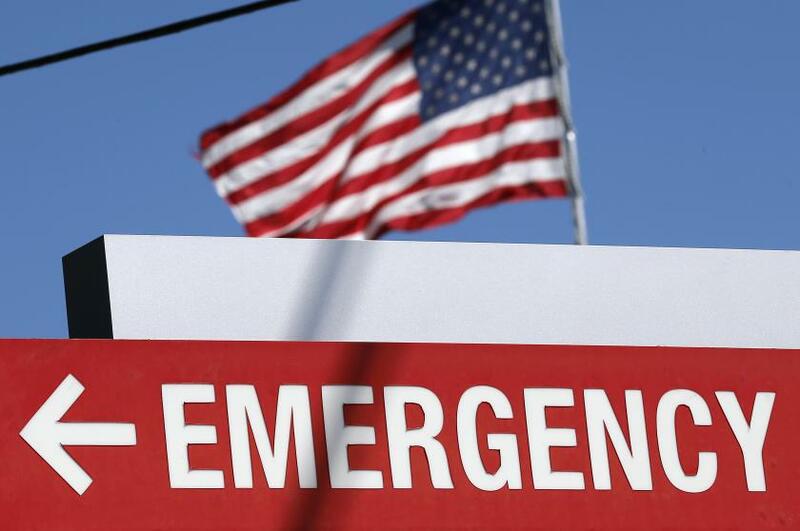 A new Harvard University study published in the New England Journal of Medicine finds Americans’ distrust for their country’s health care industry is belied by its soaring satisfaction rates. We hate doctors, but we love our doctor — a phenomenon psychologists have come to call the optimism bias. And it pervades nearly all aspects of our lives. The bias speaks to a deep-seated belief we hold as humans, namely, that the things we are more familiar with seem less amenable to outside influences. The country’s divorce rate is just about the highest it’s ever been, but no one in their right mind would take that into consideration when choosing to get married. Other people get divorced, we tell ourselves. My relationship is different. More generally, the optimism bias gives us the false comfort in knowing, deep down, that we are immune to statistical probability. Psychologists speculate we have this mechanism to override the mountain of negative data and swarm of naysayers, both of which tell us happiness shouldn’t be possible, so that we may find personal fulfillment anyway. Sometimes it leads us astray, like when we opt against a pre-nup or fail to take our medications because we “feel fine,” even though we may just as quickly turn around and condemn a friend for doing the same. Other times, as the recent research suggests, the optimism bias can be healthy. Our health care industry in general may leave a sour taste in our mouths, but the bias we hold toward our personal doctors gets us to make appointments. We take charge of our personal health when we feel like the system that takes care of us is working. It just so happens that a local system makes us feel more at peace than a national one. As the researchers point out in their report, “this phenomenon does not affect physicians in many other countries.” Switzerland, for instance, leads the pack in industry satisfaction: Approximately 83 percent of the Swiss believe in their system. Denmark fell close behind at 79 percent, and the Netherlands rounded out the top-three at 78 percent. Down in 24th place, the U.S. tied with Croatia at 58 percent. But “of the 10 countries that rank lowest in public trust in their countries' physicians, all but the United States also rank 19th or lower in patients' satisfaction with their own medical care,” the researchers write. The U.S. is an outlier. We’re the only ones that hold an optimism bias. How come? There are many factors, but the largest seems to be how our country’s system is organized compared to the rest of the world. Unlike other countries, our system keeps government outside of health care, which drives influence from private organizations instead. We also don’t have a centralized form of policy regulation; instead, multiple specialty groups must each throw their hat in the ring so they get heard. The upside to this competition is greater innovation, but it can also breed gridlock, particularly when policies conflict. Whether this downside will win out is up to the doctors themselves, according to the Harvard researchers. Or, to put it another way, people would have less of a reason to distrust the health care industry if it did a better job fostering trust in the first place. A tall order, but one the optimism bias suggests should be possible — in theory, at least. Source: Blendon R, Benson J, Hero J. Public Trust in Physicians — U.S. Medicine in International Perspective. New England Journal of Medicine. 2014.